My boys love to write. They have so many creative ideas in their heads, and every so often they get the hankering to write a book. Not a 200-word picture book; no, they always want to write a novel. The problem is that they never have the “stick-to-it-tive-ness” to complete the novels they start. So when I heard about Here to Help Learning and their novel-writing class (formally called Flight 3 Essay Writing), I knew this would be something the boys and I would want to review. The titles of the videos are the same from lesson to lesson, and they’re all based on airplane terminology: Pre-Flight Checklist (this is the one we omitted from later lessons), Flight Check-in, Take Off, Full Throttle, and Flying Solo. The meat of the lesson is found in Take Off and Full Throttle, so that’s where I’ll spend the majority of my focus for this review. Flight Check-in is the part of the lesson where students turn in the previous lesson’s Flying Solo work (what would be “homework” for a public school student, but is just independent study work for homeschoolers) and separate the new week’s worksheets into their appropriate tabs in the binder. Flight Check-in is also when the group is instructed to recite the program’s Bible verse focus, Colossians 3:17 (Whatever you do, whether in word or in deed, do it all in the name of the Lord Jesus, giving thanks to God the Father through him). I love this verse, and I love that the program includes its recitation each week. It’s a fabulous reminder that our skills come from God and that we should praise him through our work and talents. 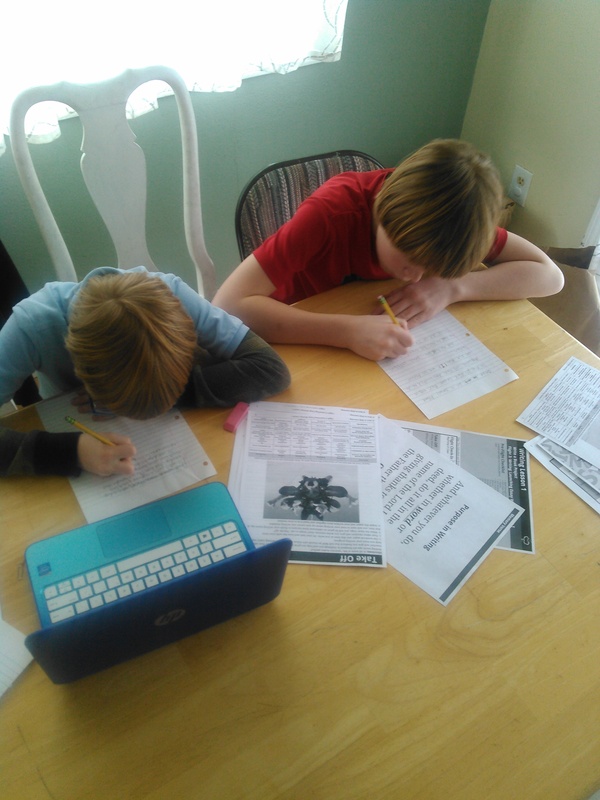 Take Off includes my boys’ favorite part of each lesson: the writing warm-up. There is a picture prompt that is different with each lesson as well as a literary technique. Students are instructed to use the prompt as the basis for a short story (they’re given 7 minutes to write and 3 more minutes to finesse after that) which includes the “literary technique of the day.” This is one of the “Top 10 Literary Techniques,” and it’s explained/described during the video – including examples – so the students can understand how to use it an include it in their story. These include metaphor, simile, onomatopoeia, and others. After the writing warm-up is completed, you move on to the longest of the five videos: Full Throttle. In Flight 3 Essay Writing, this includes the Meet the Authors segment of the program, where Mrs. Mora (the HTHL teacher) interviews successful Christian authors. We’ve just completed lesson 8, and so far it has been different portions of the same interview with Bill Myers, author of over 100 books and creator of the animated series McGee and Me. The interview covers a broad variety of topics, but they all come back to what it’s like to be a writer for a living and letting God have control over your life (another great reminder for Christians). Once the interview video is over, there’s time to go over the “big assignment” of the week, all of which culminate in the student writing their novel. So far, at the end of lesson 8, we’ve done a lot of brainstorming and list-making. My kids are getting antsy to actually start writing their novels! There are worksheets to print out each week, so upon getting access to the site I sent the first three weeks’ worth over to the print shop. There was quite a bit of printing in the beginning (due to doing several weeks’ worth plus the 36-page Language Helps workbook) so I had it done on Saturday, when copies are half price. Armed with our worksheets, we watched the video that very first day (I’d watched it in advance so I would know what to expect) and from there, it was easy to implement everything. We quickly found our groove. For the first three weeks, we followed the course of study exactly: the video and worksheets one day, the homework another day, working only two days per week. After that, though, the boys were getting anxious that they hadn’t really begun their novels yet. (They don’t realize that they are writing their novel. Knowing about their characters and what the main conflict will be is going to help them not to lose their mojo later on in the process.) So, they requested that we up the speed. We still do one section per day, but now we do it four days a week instead of two, thereby getting through two lessons per week. This speed is working really well for us. When we get to the “write chapter one” lesson of the program, I imagine we’ll have to slow down again because I’m pretty sure they won’t be able to write two chapters per week. If you’re not sure whether the program is right for you, they have a free one-day trial where you get full access to everything the site has to offer with no credit card required. If you want something a little more, there’s a 14-day trial (with a credit card) and the price is $6.99 per month after that. This fee covers your entire family – no limits – and includes all the videos and worksheets you need to run the course. We’ve really been enjoying working with Here to Help Learning. The lessons are relevant and it’s nice that we’ve found something that teaches the boys how to write (a very important skill in our opinion) that isn’t sluggish and boring. Here to Help Learning is a program we heartily recommend. 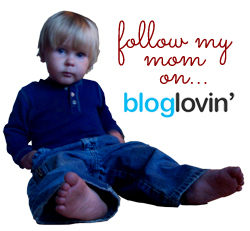 I’m one of 100 reviewers talking about Here to Help Learning this week. 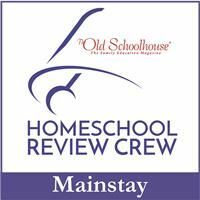 Make sure to hit the Schoolhouse Review Crew blog to find more reviews about the program!